Video Shows Harrison Ford's Near-Miss While Landing Plane in Calif.
Harrison Ford's attorney says the actor will not face any penalties over mistakenly landing on a taxiway at a Southern California airport earlier this year. Attorney Stephen Hofer writes in a statement that the Federal Aviation Administration will not fine Ford and the actor will retain his pilot's license without restriction. 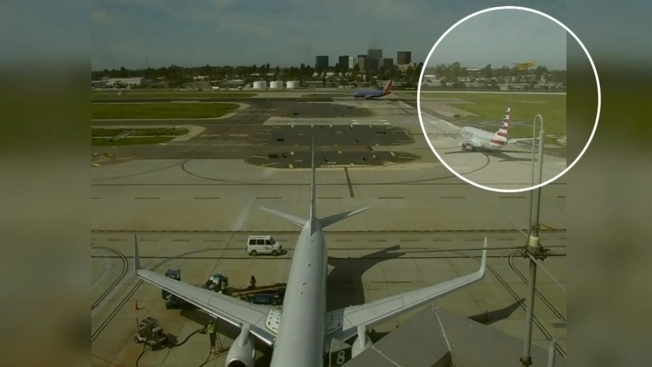 Ford mistakenly landed on a taxiway at John Wayne Airport in Orange County on Feb. 13 after flying over an American Airlines jet that was waiting to take off. The FAA confirmed it had concluded its investigation into the incident, but the agency said it does not comment on individual pilots. Hofer says Ford cooperated with investigators, has been a licensed pilot for more than 20 years, and has never been the subject of an FAA enforcement action.